Its back! Kingston’s famous Spring running event with twin runs over 8 and 16 miles. 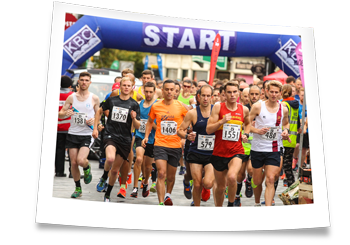 Quicksilver Running, organisers of the Royal Borough of Kingston Half Marathon are re-introducing the two classic “breakfast run” distances in Spring 2019. The new Royal Borough of Kingston Spring Raceday takes place on Sunday March 31st with runners completing either one or two laps of the famous “Kingston Loop”. The 16 mile race is ideally paced for Marathon training, falling just 4 weeks before the London Marathon and 2 weeks prior to Brighton. The 8 mile is a great introduction to racing over long distances or a shorter distance for those getting ready for 2019 who haven’t been training heavily over the winter or are recovering from injury. Both races offer the opportunity to run on a fast and scenic route with great PB potential and chill out afterwards over coffee and croissants on the Kingston riverside!